Twenty-five years of successful specialized social introductions. A uniquely elegant and dignified approach to love and romance. Matchmaking for men. Matchmaking for women. 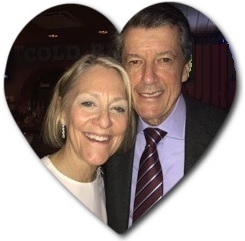 Carol Morgan began matchmaking in Philadelphia over twenty-five years ago. In 1988, she successfully matched her widowed father and consequently developed a wonderfully innovative, intimate and personalized resource for romance. She specializes in an exclusive clientele, men and women who bring a lot to the table and deserve a lot in return. Carol's procedures are designed to eliminate those not committed to a full relationship. Her discerning clients appreciate the private, personal nature of her approach and her selectivity on their behalf. They also enjoy total confidentiality and the comfort of being in the hands of a trusted professional. Her unique style caters to her clients, men and women of class and accomplishment, who make no excuse for their selectivity. Dan, one of Carol's clients, sums it up. "I pay a broker to find the right investment, a realtor to find the right house and a headhunter to find the right job. Why not a matchmaker for the really important thing - finding the right woman." With so many years of successful experience, Carol most certainly agrees. She has seen the happiness in the smiles of her clients, and is proud that her unique social search offers a level of customized care never before seen in the rarified world of high end matchmaking. Carol is not corporate; she is compassionate and caring and truly vested in her clients’ happiness. From the day she matched her own beloved father, her service remains family run and dedicated to this legacy of love. In Philly, in South Florida, in New York City... in this hyper world of digital communication, it has actually become harder to communicate, harder to find love. 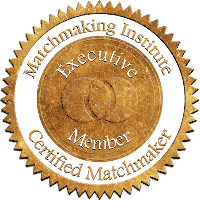 Carol Morgan’s exclusive matchmaking service has “made love easy, since 1988.” She offers a uniquely professional yet intimate matchmaking service, representing elite singles, upscale singles and selective singles, all seeking exceptional old-world client care. When you dial the phone, Carol will be the one who answers, each and every time. This relationship between client and matchmaker is the key to her success. No large staff of strangers. One matchmaker, who knows you well and always has your back. If you’re one of millions of singles who are tired of dating, dating sites, dating services, free dating sites, senior dating sites, and online dating sites, discover Carol Morgan. If you’re ready for exclusive matchmaking in Philadelphia, New York, Boca Raton, Manhattan, and South Florida, discover Carol Morgan. Living life can be a tough journey; best not to do it alone.